Unusually warm weather had the sap flowing early this year, and that could bad news for Canada's maple syrup producers. Warm weather had maple sap flowing early this year, resulting in less syrup for many producers in Ontario, Quebec, Nova Scotia and New Brunswick. 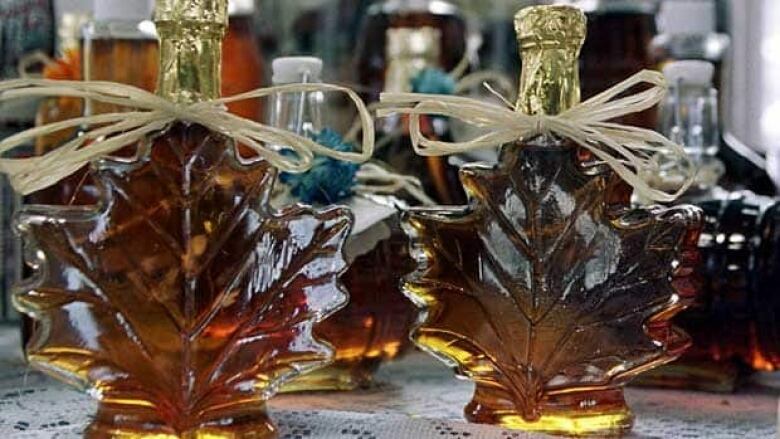 The Ontario Maple Syrup Producers Association says producers in the province will have a multimillion-dollar loss due to output that's down at least 50 per cent in parts of the province. But association president Ray Bonenberg says he doesn't expect the price of maple syrup to increase for consumers this year because the price went up slightly last year and it's set every couple of years. In Quebec, maple syrup production has wrapped early up except for in the eastern part of the province and production is down in southern areas. Quebec's maple syrup association has a three-year stockpile of syrup and its members can buy insurance to get them through a bad season. Nova Scotia's maple producers association says production is expected to be down a bit due to the warm weather, and New Brunswick producers could also faces losses depending on the weather in the coming days.